The Earthbound Oracle is currently the deck I am very interested. Make that the deck that really hits my intellect and soul. The pairing of the glorious artwork with different actions and thoughts and the trust and curiosity A.L. Swartz places in those who use the deck, (no assignation of meaning to the deck, thereby allowing each person to create her own meaning) draw me back to it again and again. 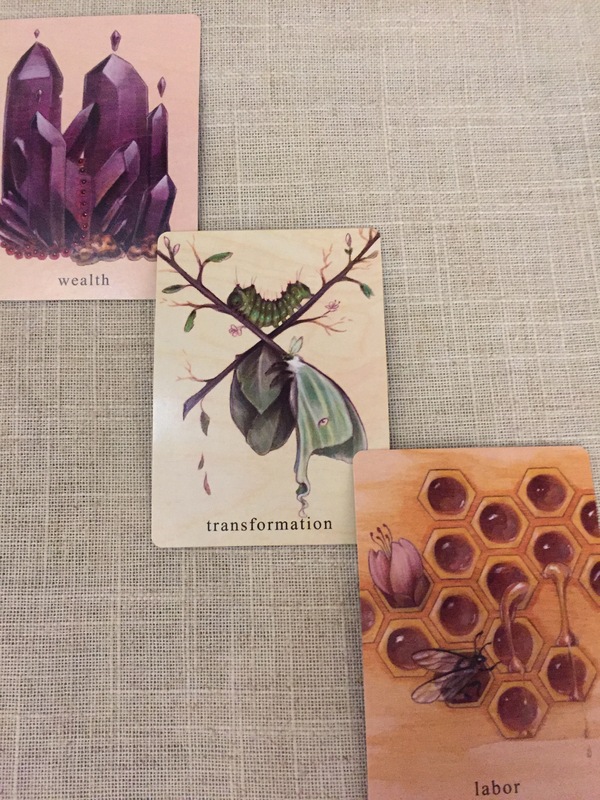 Here is a reading I did today. My question was can I move my intent to my very part time work as a reader and energy medicine provider. Here are the cards I drew. Come by and see me. Phone readings also offered.